Since 9/11, more than 2.5 million Americans have served their country in uniform. Many have had multiple tours overseas; for example, in Iraq for Operations Iraqi Freedom and New Dawn and in Afghanistan for Operation Enduring Freedom. To say our service members have been taxed over the last 16 years would be an understatement. Veterans are coming home and struggling with not only the physical wounds of war, but also the “invisible” wounds of war: post-traumatic stress disorder and traumatic brain injury. They are also experiencing high rates of anxiety and depression. These veterans are not typically criminals prior to their military service. However, as a result of their experience in the military — particularly those who were deployed to a combat zone — some of them have difficulty adjusting to civilian life when they return home. Too many of these veterans self-medicate with alcohol or hard drugs to deal with their wartime experiences. Unfortunately, some of these men and women become involved in the criminal justice system. 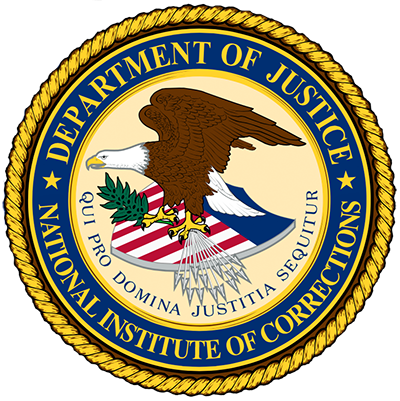 As a center of learning, innovation and leadership that shapes and advances correctional practice and public policy, the National Institute of Corrections (NIC) devotes a portion of its focus to the critical needs of justice-involved veterans. NIC’s first veterans’ project was a collaboration with Vietnam Veterans of America. This partnership spawned the development of the white paper “Veterans Treatment Courts: A Second Chance for Vets Who Have Lost Their Way.” This paper brings awareness to the unique issues of the justice-involved veteran and also serves as a promising practices guide for jurisdictions looking to implement a VTC or improve on an existing program. NIC will soon be releasing a publication that will focus on specialized housing units for veterans in jails and prisons and will next look to highlight innovative programmatic efforts for law enforcement around crisis intervention for vets who are crisis in the community. In December 2016, NIC established the Justice Involved Veterans Network (JIVN). The JIVN is a cross-divisional effort at NIC in partnership with the US Department of Veterans Affairs, the Substance Abuse and Mental Health Services Administration (SAMHSA), and the Bureau of Justice Assistance and is inclusive of the entire continuum of criminal justice. The network meets twice per fiscal year and its goal is to improve public safety, identify gaps in services, and improve outcomes for veterans who become involved in the justice system.